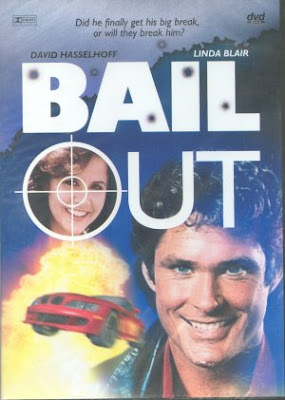 Bail Out is a silly action/adventure/comedy which isn't very funny, at least not intentionally. 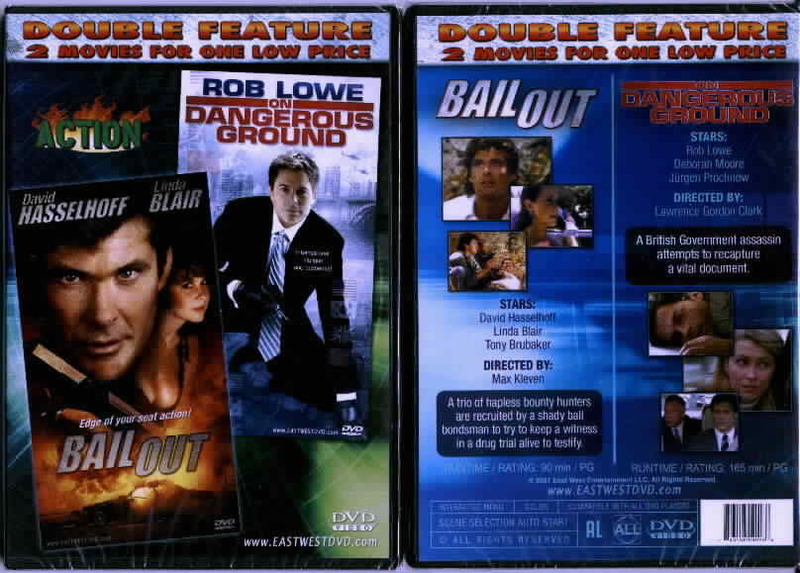 The original title "W.B., Blue and the Bean" (which appears after the end credits, while "Bail Out" is the title in the opening credits. Did they forget to change it?) should give some indication of the movie's intentions. Roger "White Bread" Donaldson (or W.B. for short) (The Hoff) is a part-time tennis instructor and part-time bounty hunter. He has two associates - you guessed it - Mason "Blue" Walcott (Tony Brubaker) and, of course, The Bean (Tom Rosales). 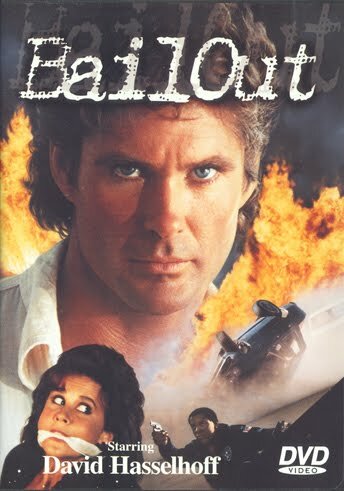 When heiress Nettie Ridgeway (Blair) is abducted by drug lords (led by Cummins of Action U.S.A. (1989) fame as Zaldizar) and spirited away to Mexico, it's up to our three heroes to save the day. They have to get her to court on time in order to collect a million dollars. The three buddies want to open their own bail bondsmanship so they can stop working for the haranguing Aram Haronian, their boss. Will they succeed? 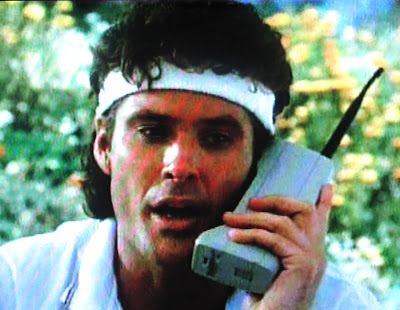 While it is funny to see the mighty Hasselhoff with his mullet and giant cell phone hamming it up for all the world to see, and an attempt is made at politically-incorrect humor ("these guys drive worse than the Orientals! ", "Roasted Colombians, nothin' finer! ", etc.) sadly it all seems a bit forced and unfunny. Once they get to Mexico, there is a stereotype Mexican character that is very, very annoying. The movie was already on pretty thin ice by then, and the addition of this character did not help at all. There are some car chases, shootouts and horseback riding, and the cast is full of familiar faces such as Trejo, Flower, the Hoff, Blair, and a surprising appearance by Gregory Scott Cummins as the drug lord. We were so used to seeing him as the all-American good guy from Action U.S.A. He truly has a lot of versatility. 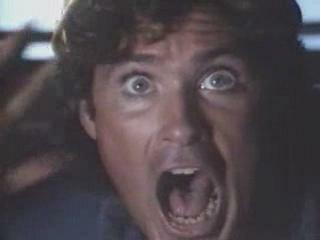 John Vernon is also on hand as Linda Blair's father. What is he truly up to? 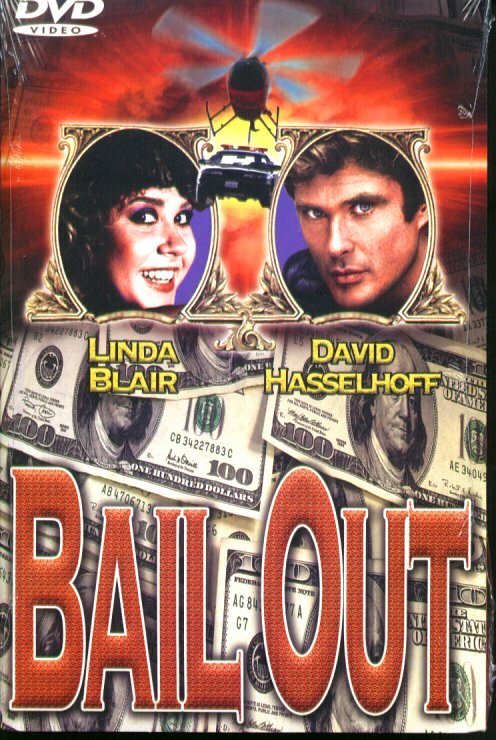 Nothing really weird or truly noteworthy happens in Bail Out. It's all pretty standard fare, so stupid at times it almost insults the audience's intelligence. We know it's a direct to video movie starring The Hoff, but come on. Give us some credit here. But then again it was directed by Max Kleven, the "mastermind" behind Fugitive Champion (1997). At least Chip Mayer was nowhere in sight. 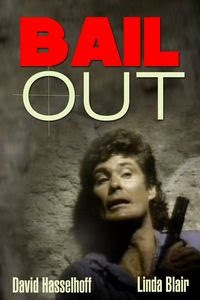 So if you can survive all the groaners for jokes and some middling action, you MAY be entertained by Bail Out if you are in the right mood (i.e., a really goofy mood). 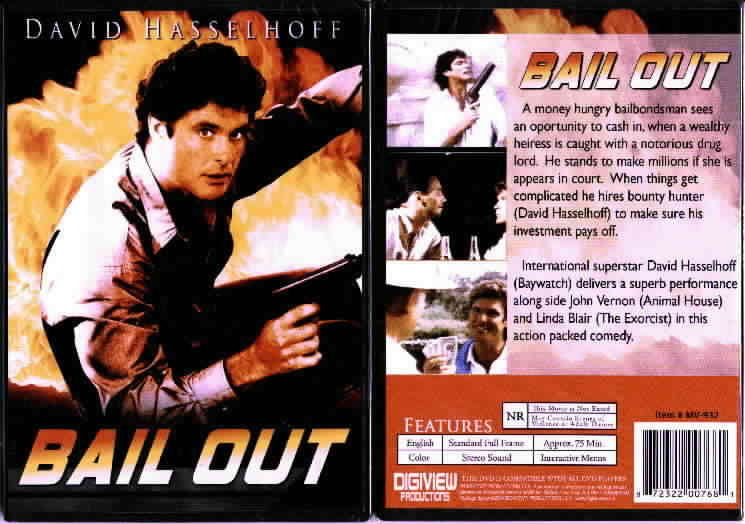 Bail Out was released on VHS in the U.S. on the great Vestron label. We couldn't find any commercially-released version of the film under the "W.B. Blue and the Bean" moniker. If you have a picture of that, please send it in. 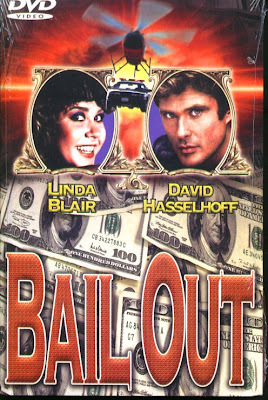 NOTE: Because there are so many boxcovers for this title, we have decided to change things up and are pleased to present...the BAIL OUT GALLERY! Enjoy! Labels: 1989, Action U.S.A., Bail Out, Blue and the Bean, Danny Trejo, David Hasselhoff, Fugitive Champion, George 'Buck' Flower, Gregory Scott Cummins, John Vernon, Linda Blair, Vestron Video, VHS, W.B.